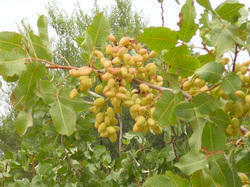 Pistacia Vera plants are shrubs and small trees growing to 5–15 m tall. The leaves are alternate, pinnately compound, and can be either evergreen or deciduous depending on species. Scientific Name : Citrullus vulgaris . Days to maturity : 80-90 days after sowing. 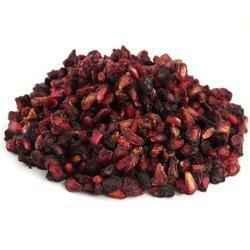 Anardana refers to the dried seeds of the pomegranate fruit. A variety of wild pomegranate called daru, which grows in the southern Himalayas, is reputed to yield the best anardana. They are rich in vitamins C, K and 6. Best in quality, these Chikoo Seeds are offered in the market in extreme purity. These seeds are reliable in working and completely safe to use to make different ayurvedic products. Our firm is offering seeds in bulk too to meet high demand of the customers. We charge lesser price for these seeds. We are an eminent processor and exporter engaged in providing a wide range of Tropical Fruit Seeds at market leading prices. These are widely used for cultivating new fruit plant in the commercial and residential gardens. We specialize in providing grape fruit seeds that are very healthy and nutritious. Available in different sizes and packaging, our range is offered at industry leading prices.